At ABLE Asphalt, Inc., we provide a wide range of commercial and residential asphalt paving services throughout the South Coast. We take pride in the quality work that we do, and we value each and every customer that we serve. We work with homeowners, business owners, churches, hospitals and medical clinics, schools, homeowners associations (HOAs), and developers. We provide exceptional customer service, top quality workmanship, and reasonable rates, while maintaining safety, budget, and turn around time. You can count on ABLE Asphalt, Inc. for all of your asphalt paving and repair needs. We provide our customers with top quality asphalt paving driveways that are designed to last for many years to come. The majority of the projects we complete for driveways and walkways are asphalt. However, we can do gravel, cobblestone work, or create custom designs and installations upon request. With over 30 years of experience, we have earned a solid reputation with property owners in South Coast for providing quality workmanship. Asphalt is one of the very best choices available for driveways and walkways in Southeastern Massachusetts. This material is very flexible, making it perfect for the typical New England winter. Asphalt can stand up to shoveling, plowing, and salting, making it stronger and more durable than other commonly used materials. Our team can provide professional services for patching and repairs of existing asphalt, whether we installed the original work or not. Weather conditions throughout the year can result in damage to asphalt driveways, walkways, parking lots, and roadways, resulting in cracking and deterioration of the materials. It is important to make repairs or patch up the damage as quickly as possible so it won't become worse. Some of the most common issues that we see at ABLE Asphalt, Inc. include potholes, sagging spots, sunken areas, and even damages to the edge of asphalt paving, which can be caused by improper drainage issues. Our team will inspect the damage and provide you with an assessment on the patching and repairs that are needed. 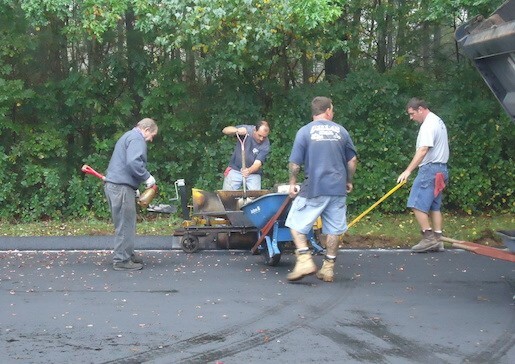 In addition to providing quality services for asphalt paving of driveways and walkways, ABLE Asphalt, Inc. also offers professional services for roadways. Residential roadways, private laneways, and other asphalt paving options are available for our commercial and residential clients in the South Coast area of Southeastern Massachusetts. Whether you require the construction of a brand new roadway or need resurfacing, repairs, or seal coating services, our crew can help you to achieve your goals. 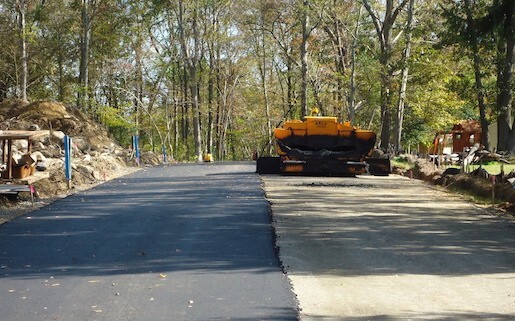 Asphalt paving roadways can also be done in conjunction with other projects, including driveways, walkways, parking lots, and other commercial or residential services. 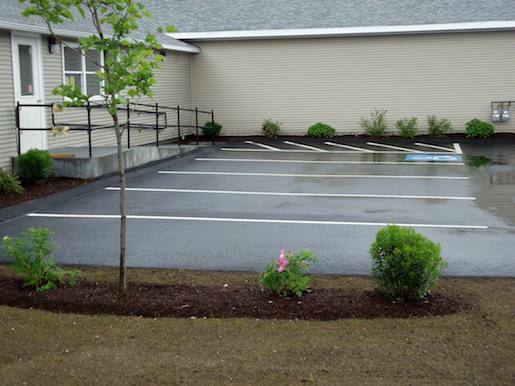 Our commercial clients often contact us to provide asphalt paving parking lots. Brand new parking lots, extended parking areas for existing lots, repair and seal coating services for aging parking lots, and a host of other professional services are available in South Coast. ABLE Asphalt, Inc. has over 30 years of experience working with commercial asphalt paving in Dartmouth, MA, and the surrounding area. Whether you require a parking lot for brand new development projects, shopping centers, strip malls, restaurants, schools, multi-family residential properties, or municipal buildings, our crew can provide the services you need to get the job done according to your specifications. ABLE Asphalt, Inc. offers pavement marking services for parking lots, parking garages, commercial properties, and roadways. Our team will come to your property to provide a professional consultation for layout and design. The services we provide are ADA compliant, and we are knowledgeable in local requirements and regulations for pavement marking services in Southeastern Massachusetts. It is important to have a parking area or roadway that is properly marked for vehicles and pedestrians to provide safe use, while also ensuring that there is ample parking for customers, visitors, and tenants. Our crew is experienced and equipped to handle all of your pavement marking services needs. 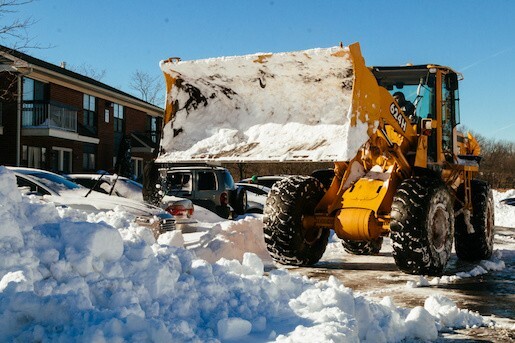 Our South Coast commercial clients rely on our professional snow removal services. Our snow management services help to ensure the safety of your employees, customers, tenants, and suppliers during the winter months. 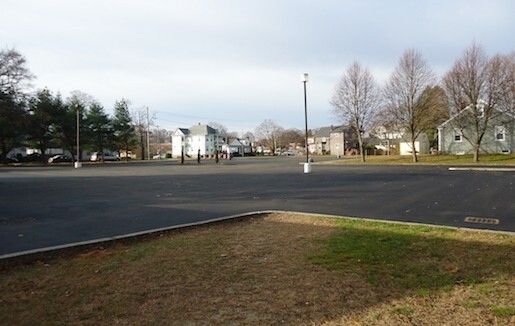 Our work with asphalt paving in Southeastern Massachusetts helps us to understand what is required to protect your asphalt surfaces while performing commercial snow removal services. Protect your investment and your business. Trust ABLE Asphalt, Inc. to take care of commercial snow removal services for your commercial or multi-family residential property to help keep entrances, walkways, driveways, roadways, and parking lots clear this winter.